Licensed by the states of Maryland and Virginia and the District of Columbia to manage all aspects of asbestos, lead and mold abatement and encapsulation projects. 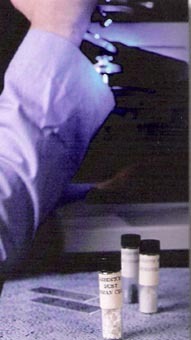 State-of-the art equipment provides clean and efficient results. All equipment is tested, frequently checked and properly maintained to ensure safe operation at all times. Remediation is the key factor in avoiding a more serious mold problem. We have invested in wet vacuums, dehumidifiers, air movers and negative air machines to effectively handle microbial cleanup and disposal. A large inventory of supplies allows us to perform both scheduled and emergency operations. Whether the scope of work involves mechanical insulation, floor tile, mastic, fireproofing or lead paint, we can encapsulate, enclose or remove the identified environmental hazard efficiently.